Non-oil domestic exports (NODX) rise 8.3%YoY, -4.3%MoM. Pharmaceuticals growth again prevents a bigger export headache. 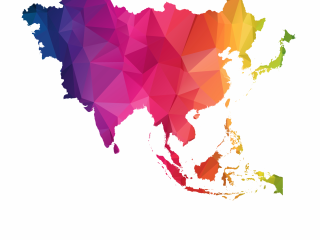 There are some rather predictable export trends emerging at an industry level: Singapore's electronics exports were lower than the same month a year ago, for the tenth consecutive time in September. Admittedly the year-on-year decline is reducing. But September is usually a very weak month anyway for electronics exports. All those electronic components destined for electrical consumer durable goods will already have been exported ahead of the gift-giving season in the West, so there is little comfort to be gleaned there. So were it not for another stellar performance by the pharmaceutical industry, showing a 67.5%YoY gain, exports overall would have looked dreadful. Given the vagaries of year on year data and inconsistent base effects, the chart below shows the data in year-to date year-on-year form, which irons out some of the wrinkles. Again, the message is, pharma looks awesome, everything else looks distinctly moribund. 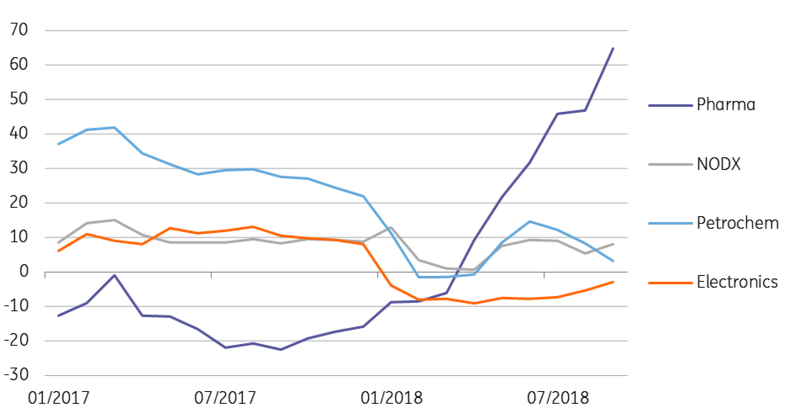 Although there is clearly a longer term relationship between non-oil domestic exports and industrial production in Singapore, it is not particularly tight. What then, is the relationship between monthly moves in these indicators? Does the September NODX tell us anything about the later release of industrial production, and hence GDP growth? Well, it turns about that the answer is yes, albeit somewhat unreliably. 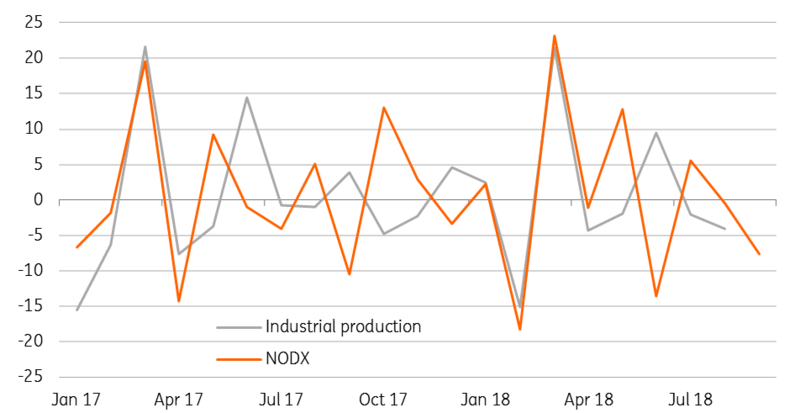 The month-on-month percentage change in non-seasonally adjusted NODX does move with industrial production - much of the time in the same month. Where deviations occur, it looks as if the NODX data tends to provide a one month lead over the production numbers. So it seems, production responds to export demand, sometimes with a lag, rather than exports responding to production. That sort of makes sense. In this case, with production playing catch up with exports, a decline in unadjusted production data would equate to a negative year on year result, and potentially, some downward revision to the advance 3Q18 GDP figure (was 2.6%YoY).